Satin-finished nickel - The image refers to the same article in another finish. The box shows the effective finish. 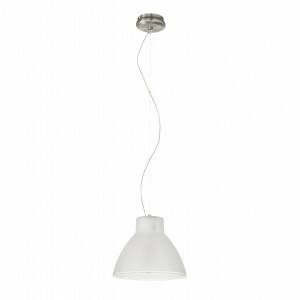 Italian design pendant lamp, ideal for home lighting. The frame is made of metal, while the diffuser is in white satin glass, with transparent border. Minimalist style lamp with modern design; this lamp provides an E27 mount, compatible with halogen, compact fluorescent or LED bulbs. Campana luminaire with metal frame and brushed nickel finish. White satined glass with transparent edge. 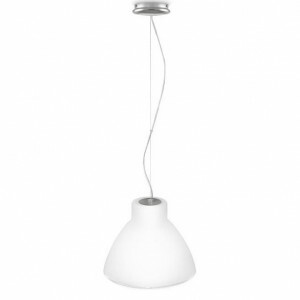 Italian design pendant lamp. This lamp provides an E27 mount, compatible with halogen, compact fluorescent or LED bulbs. 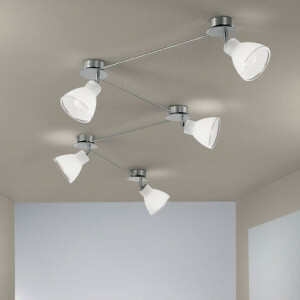 Modern design ceiling lamp, ideal for indoor lighting. The diffuser is made of glass, with a blasting process; The frame is made of nickel-plated iron. This lamp provides five E14 mounts, compatible with halogen, compact fluorescent or LED bulbs. 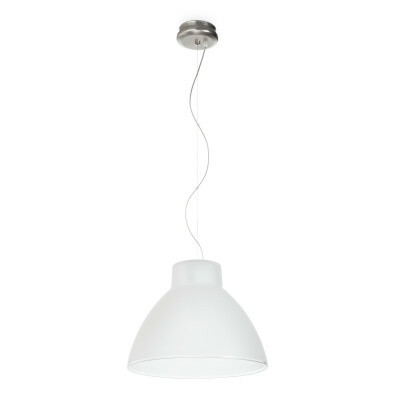 Modern design ceiling lamp, ideal for indoor lighting. The diffuser is made of glass, with a blasting process; The frame is made of nickel-plated iron. This lamp provides three E14 mounts, compatible with halogen, compact fluorescent or LED bulbs. 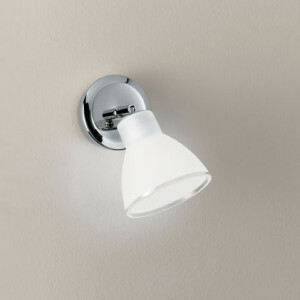 Adjustable wall lamp with one light, with white satin glass bell-shaped diffusers. Ideal for indoor lighting. This lamp provides an E14 bulb, compatible with halogen, compact fluorescent or LED bulbs. 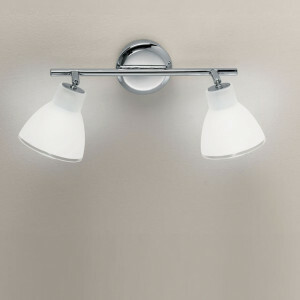 Adjustable wall lamp with two lights, with white satin glass bell-shaped diffusers. Ideal for indoor lighting. This lamp provides two E14 bulbs, compatible with halogen, compact fluorescent or LED bulbs. 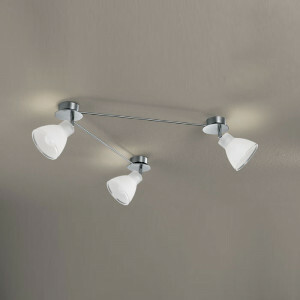 Adjustable wall lamp with three lights, with white satin glass bell-shaped diffusers. Ideal for indoor lighting. This lamp provides three E14 bulbs, compatible with halogen, compact fluorescent or LED bulbs. 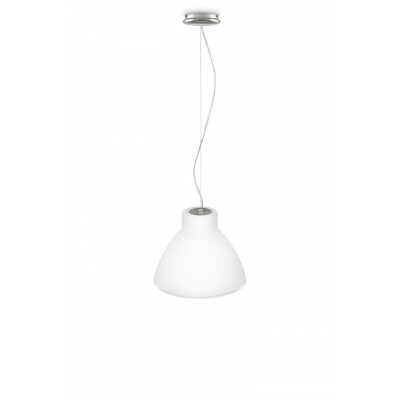 Pendant lamp with two lights, ideal for kitchen lighting. The frame is made of metal, while the diffusers are made of white satin glass with transparent border. 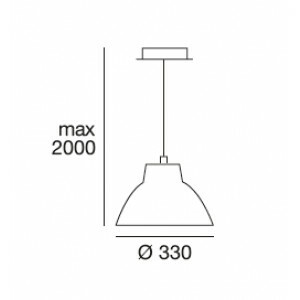 Indoor lamp for ceiling application; maximum height: 210cm. This lamp provides two E27 mounts, compatible with halogen, compact fluorescent or LED bulbs. Simple style chandelier, ideal for kitchen lighting. 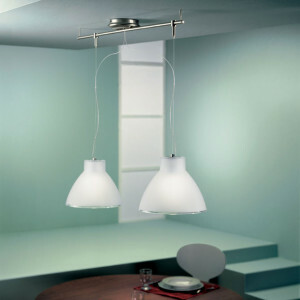 The frame is made of metal, while the diffuser is made of white satin glass. 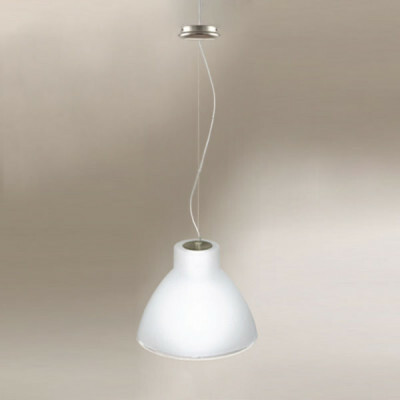 Indoor pendant lamp; Maximum height: 200cm. Provides an E14 mount, compatible with halogen, compact fluorescent or LED bulbs.